The global spread of multidrug resistant bacteria puts enormous pressure on our healthcare systems. To stop the ever increasing development of drug resistance, a comprehensive understanding of bacterial pathogenesis is required. This is the focus of our group where we do research on bacterial virulence factors, host-pathogen interactions as well as essential bacterial enzymes and metabolic pathways. We exploit high throughput molecular techniques for which we established modern equipment such as pipetting robots and liquid handling systems in our BSL2 and BSL3 laboratories at the Center for Molecular Medicine Cologne. The ultimate goal is to identify novel bioactive substances active against multidrug resistant Mycobacterium tuberculosis and Gram-negative bacterial pathogens. These include novel antibiotics, anti-virulence and host directed drugs. Jan Rybniker (MD, PhD) is an attending physician and clinician scientist at the Department I for Internal Medicine. He did his PhDs on transposon mutagenesis of mycobacteria and host shut off proteins of mycobacteriophages at the Institute for Medical Microbiology Cologne and the University of Tennessee (Prof. Pamela Small). In 2011 he joined Professor Stewart Cole`s group at the Ecole Polytechnique Fédérale de Lausanne (EPFL) as a postdoc where he worked on antibiotic drug discovery targeting Mycobacterium tuberculosis. In 2016 he submitted his habilitation on host cell-based antibiotic drug discovery. Since 2016 Dr. Rybniker is head of the Translational Research Unit – Infectious Diseases, the main research laboratory of the Infectious Diseases Department of the University Hospital Cologne. 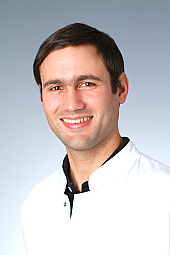 For his research he received several awards such as the Young Investigator Award of the German Society of Internal Medicine and the Swiss TB-Award 2015. Dr. Rybniker is an active member of the Deutsche Gesellschaft für Innere Medizin (DGIM) and the Deutsche Gesellschaft für Infektiologie (DGI) where he functions as Co-Chair of the section Mycobacteria.